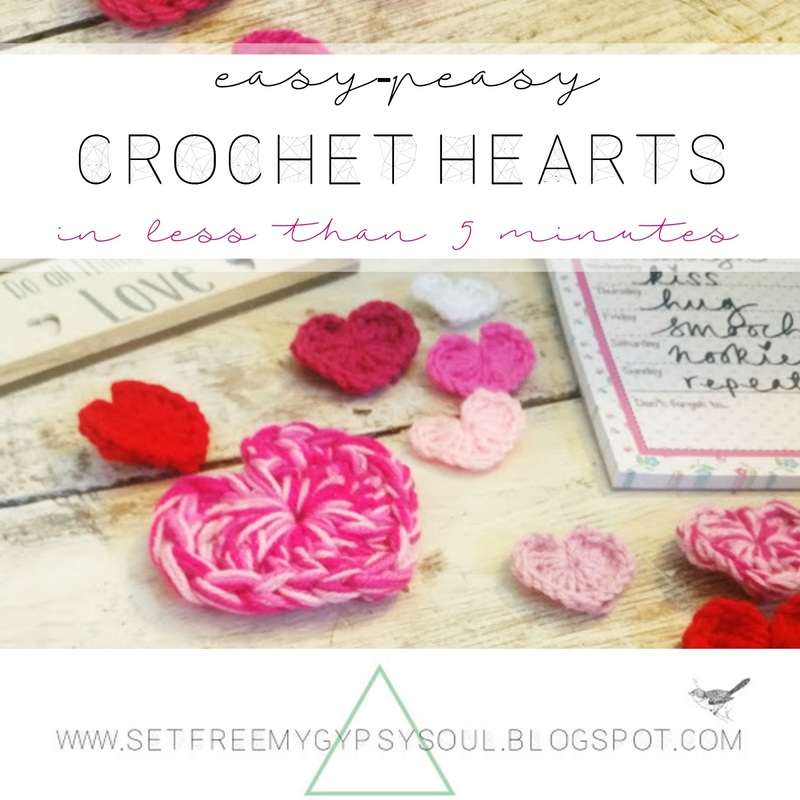 Here's how to make a super fast and easy peasy crochet heart, perfect for upcoming Valentine's Day projects and embellishments... or just because love hearts are super cute! You can make these in record time using just 2 stitches. 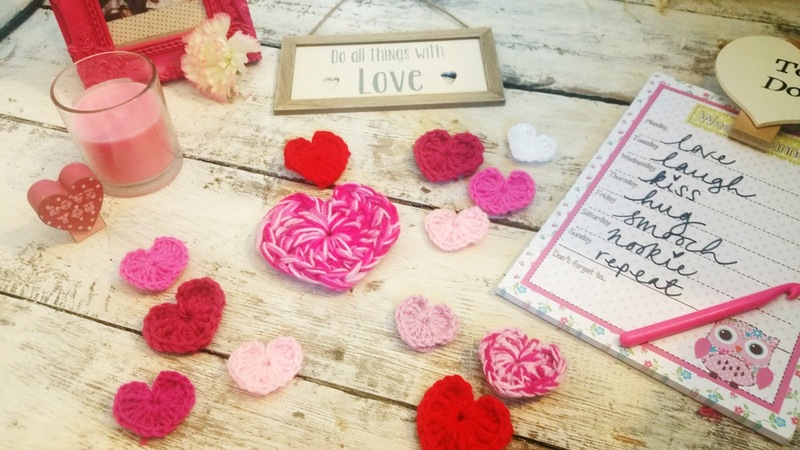 These sweet little crochet love hearts are so versatile and using the same basic pattern can be made in any size just by varying up your yarn and hook size. 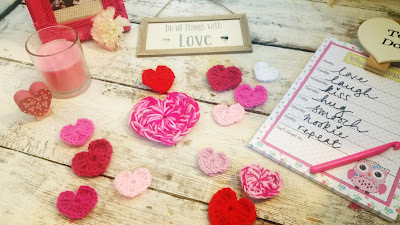 In the run up to the big V-DAY I am going to share with you some fun DIY projects to make with this pattern that I hope you will enjoy all year round. 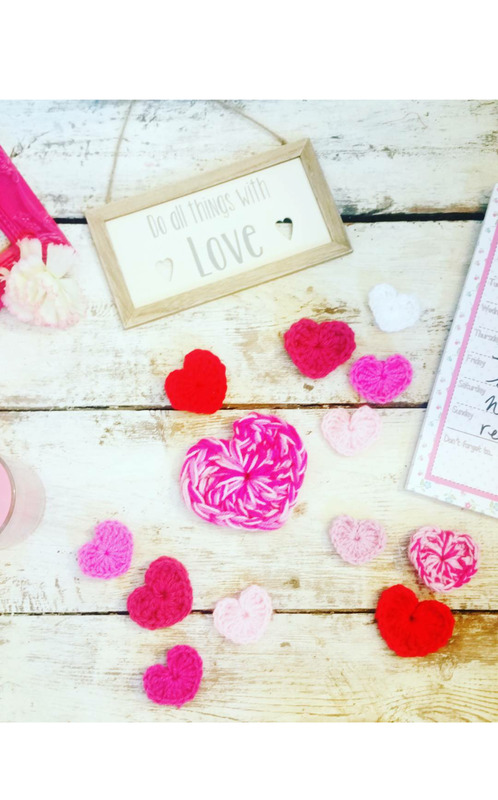 So I know a lot of people bemoan the excessive commercialization of Valentine's Day and the expense of it all, and yeah on a financial level it has gotten totally OTT... But, as with any modern "Holiday", I just love the chance to take a little break from the everyday mundane and have an excuse for a little fun and party. Life's tough enough, so indulging in a little silliness here and there is good for the soul. Continue with 4 triple treble (US double treble) stitches all into the loop. 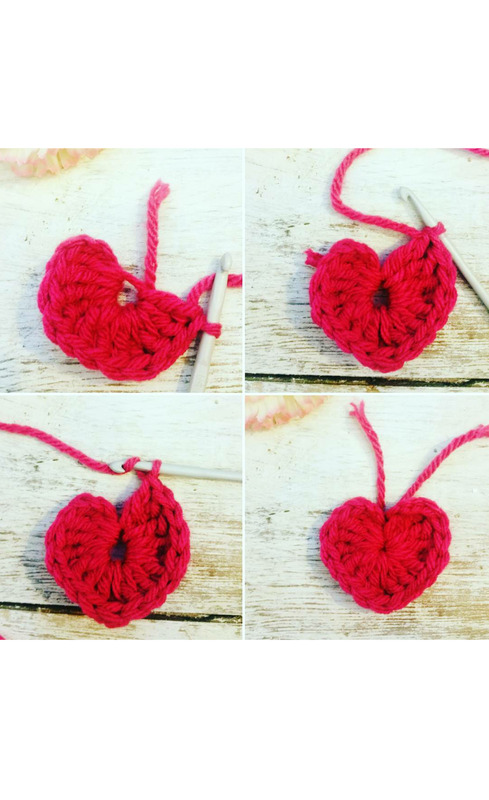 That's one half of your heart complete! 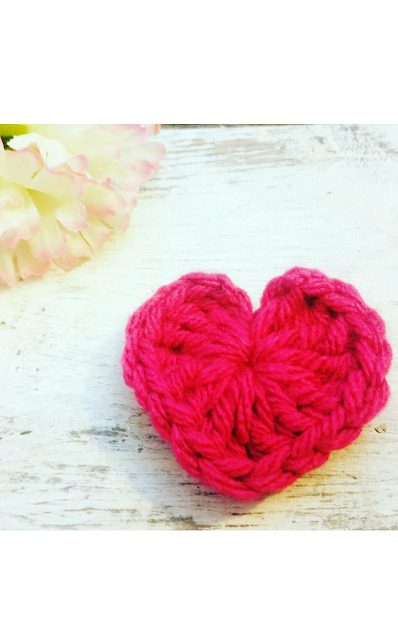 Pull your ends to close the loop, weave in your end and Voila! 1 adorable little love heart for your honey on Valentine's Day. How easy was that?! 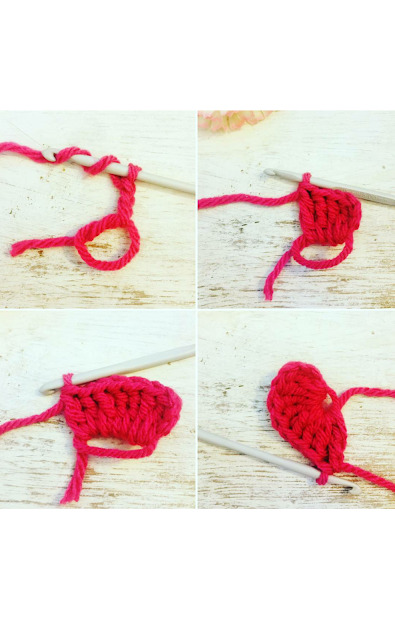 Make a whole bunch while binge-watching your fave show on Netflix and check back soon for some fun ways to use them.